As much as I love a freshly baked apple pie, it takes a lot of effort. 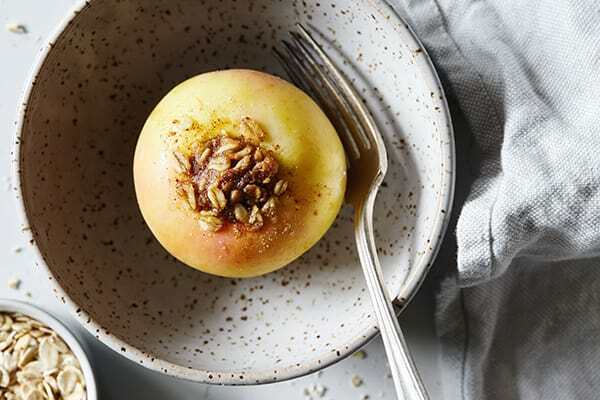 This slow cooker baked apples recipe is the perfect marriage of delicious fall flavors wrapped up in a fuss-free dessert — and healthy, to boot. Apples form the “base” of this dish. Once the apples are cored, the center becomes the perfect vessel for holding a cinnamon-spiced oat crumble. A bit of butter keeps this dish moist and decadent, without getting anywhere close to the amount of butter (or shortening) used in a standard pie. The trick that makes this recipe so easy is using a slow cooker to cook the apples. It’s a convenient, hands-off approach that lets you just push a button and way away. 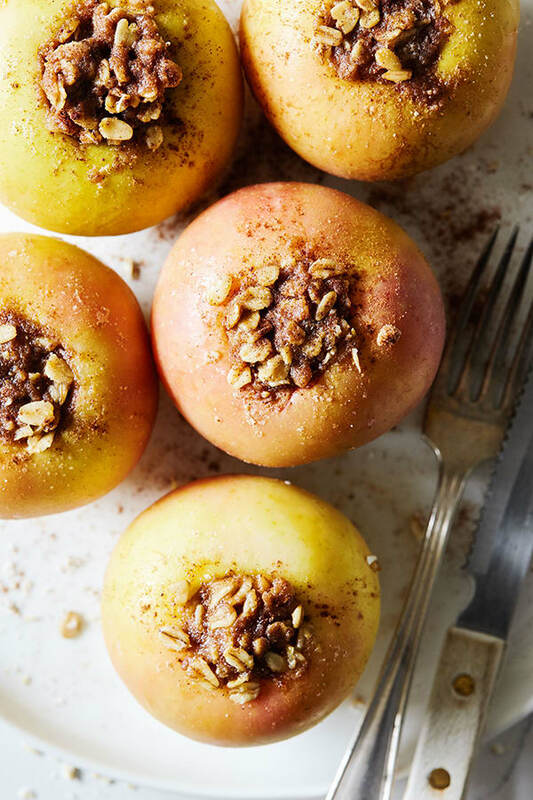 In about two hours you’ll have perfectly soft apples with a golden brown crumble. These slow cooker baked apples make for a delicious guilt-free dessert or even a decadent breakfast or brunch item. Next time you want to indulge in apples and cinnamon, be sure to break out your slow cooker to give this recipe a go. It’s a low-sugar, low-fat option that’s just sweet enough to satisfy your sweet tooth. And thanks to the apples, you’ll get a full serving of fruit. Dessert has never been better! 21 Day Fix-creator Autumn Calabrese and her brother, chef Bobby Calabrese have put together an incredible menu of recipes for their cooking show FIXATE . From Green Bean Casserole and Cranberry Sauce to stuffing and Pumpkin Whoopie Pies, they’ve got you covered. Check out FIXATE here! This slow cooker baked apples recipe is the perfect marriage of delicious fall flavors wrapped up in a fuss-free dessert. Core apples using an apple corer (or sharp knife). Add water to a 3-quart slow cooker and carefully place apples in slow cooker so that they are standing upright. Combine flour, oats, sugar, cinnamon, pumpkin pie spice, salt, and butter in a small bowl; mix with a fork until crumbly. Fill apples evenly with oat mixture. Cook on low for 2 hours, or until apples are fork tender. Remove apples from slow cooker. Cool for 5 to 10 minutes. Enjoy this as an occasional FFC treat.